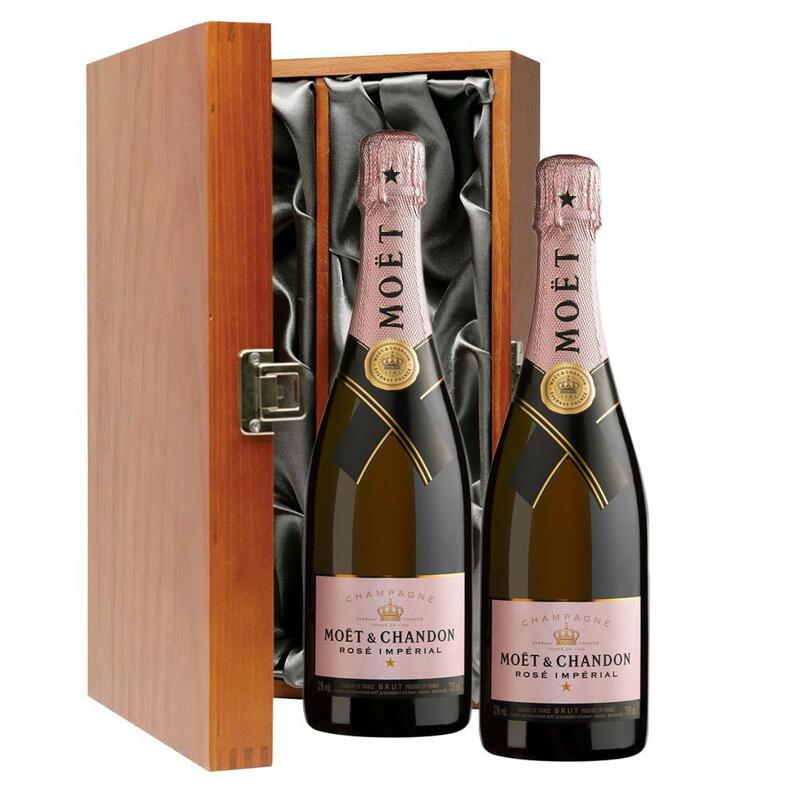 Two bottles of Moet & Chandon Rose 75cl (2 x 75cl) Presented in a luxurious stained wooden box with hinged lid and clasp. The box is lined with silver satin and comes with a Gift Card for your personal message. 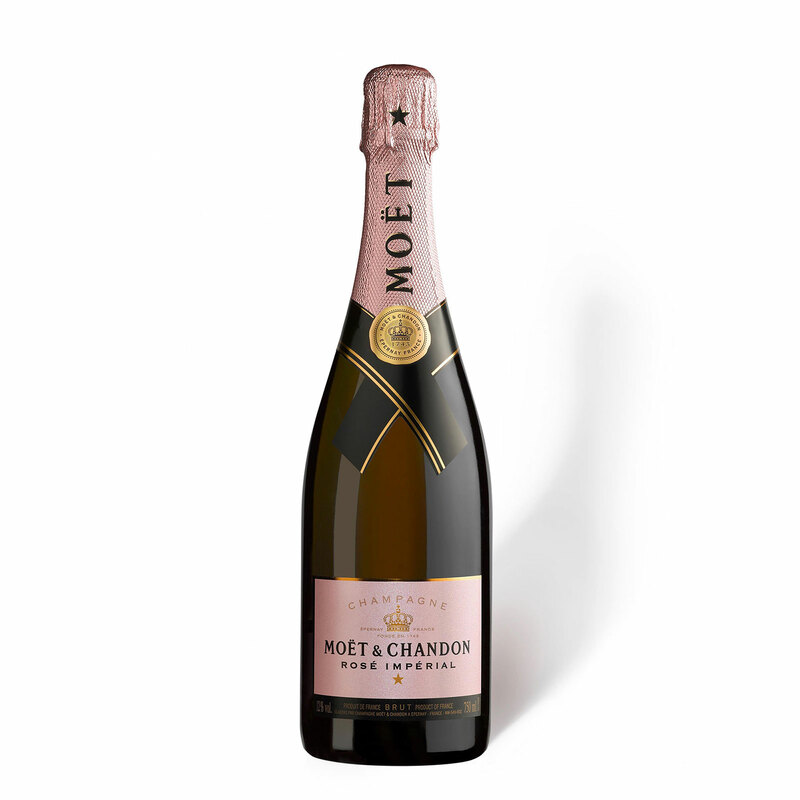 Send a single bottle of Moet & Chandon Rose, NV, Champagne (75cl)Presented in a stylish Blue Gift Box with matching Gift Card with your personal message - Expressive aromas of wild strawberries and redcurrant dominate, with hints of white pepper.